Single 10 inch enclosure specifically designed for the Dodge Ram QuadCab to give you that tight bass your factory system forgot. Includes Flush-mount grills and integrated fascia panel. Fits under drivers side rear seat. 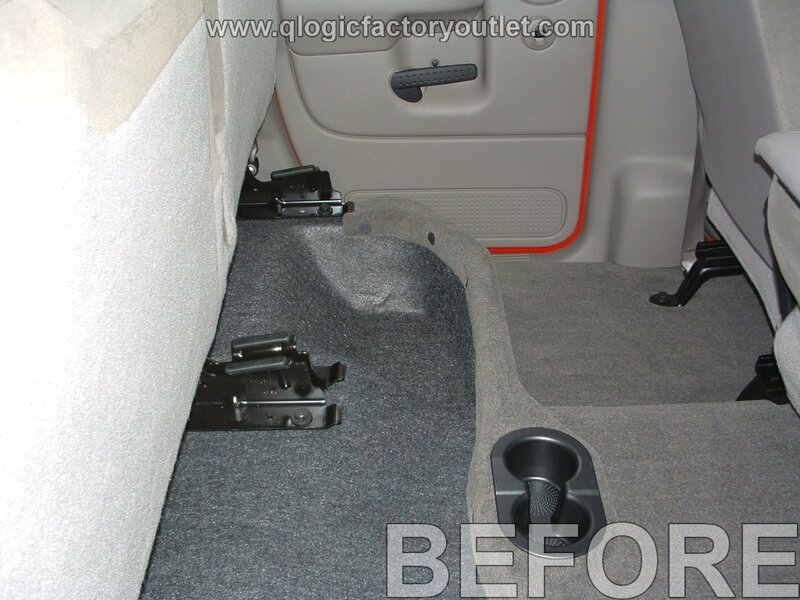 Add a QL-C1DQC110 (P) to passenger's side to complete the under-seat system. INCLUDED IN THE BOX: 5-way nickel-plated terminal cup. All mounting fasteners, hardware and trim pieces. Complete installation instructions. Speaker wire. Woofer mounting screws. Note: Any drivers pictured are for illustration purposes only, and are not included.